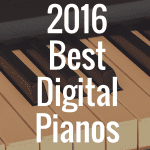 You are here: Home / Yamaha Digital Pianos / How to Pick the Best Yamaha Arius Digital Piano? 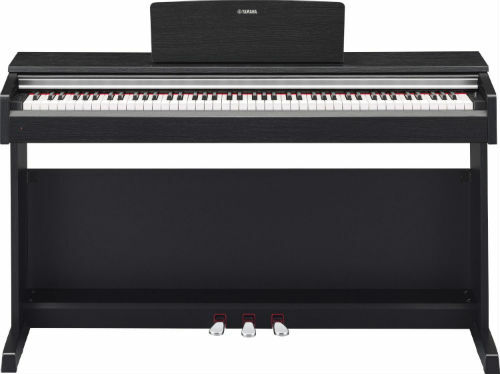 The Yamaha Arius digital piano, an entry-level series, offers the best of both worlds to those that adore the piano. With this series, you get great acoustic piano feel and sound, along with digital recording, headphone jacks, and a variety of voices. While different models within the Arius series cover a range of pianos suited for beginners to intermediate and advanced students, all offer quality and aesthetic appeal. There seems to be a plethora of digital piano options offered today. Even within the Yamaha Arius series, there are a variety of features, specifications, and options. It’s easy to quickly become overwhelmed and confused when looking at the different piano models. 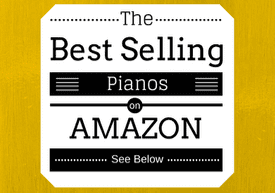 Armed with the information shared below, you should be able to get a feel for the different options out there and choose the best piano for your needs and preferences. 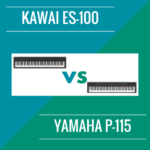 Below, use our helpful table to compare some of the best digital pianos on the market (some of which are Yamaha Arius digital pianos!). Let me compare several of the Arius series pianos and explain a little about the features of each. I’ve broken down the different models into two categories, ones with the Graded Hammer Standard action and ones with the Graded Hammer effect action. Yamaha uses the Graded Hammer Standard (GHS) keyboard to produce a feel similar to an acoustic piano. In an acoustic piano, the lower keys must strike larger strings and the actual hammer is larger. The higher keys strike thinner strings and the hammer is smaller. The Yamaha YDP-144 takes over for the popular Yamaha YDP-143, and there is at least one noting. The YDP-144 features the Yamaha CFX Grand Piano sound, a beautiful and very boldly expressive piano sound. The YDP-143, by contrast, came with the Yamaha CF Grand Piano Sound. Along with the CFX Grand Piano sound, you can also enjoy a Mellow Grand Piano Sound and a Pop Grand Piano sound, which is going to give you a more jazzy flavor. The Yamaha YDP-144 comes with 88 Graded Hammer Standard Keys–a decent key action but on the lower tier in terms of what Yamaha is capable of. Still, it’s going to give you great graded keys, mimicking the feel of an acoustic piano’s keybed. I think one of the things I like most about the YDP-144 is that it is capable of being used with the Smart Pianist app. This is a very fun and interactive way to learn how to play the piano, which is something that’s never been more intuitive. On top of having fun with things like Chord Chart, you’re actually able to control many of the piano’s functions via the app–including save recordings and do Layer/Split. 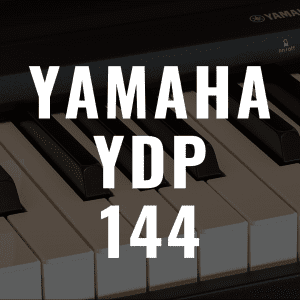 Check out my full Yamaha YDP-144 review right here. Yamaha Arius YDP-S31. This model is quite cheap, especially if you can find an older model like this on the secondary market! The keyboard has 88 keys, and can record and playback sounds. Like all Arius series digital pianos, the YDP-S31 includes two jacks for headphones so you can play quietly (including with a friend) late at night or early in the morning. You can fine-tune a piece before popping out the headphones and sharing it with everyone else, or get in some much needed practice time while others read the newspaper, watch TV, or catch up on homework nearby. One of the best things about the YDP-S31 is that it’s small and compact but still attractive with its alder finish and matte gray pedals. This piano is listed at about $800. The Yamaha Arius YDP-142 and Arius YDP-143 are a step up from the YDP-S31, still with the GHS keyboard, but with two recording tracks instead of one. These two instruments are also larger, looking more like pieces of furniture than a boxy table, like the YDP-S31. Overall, these two pianos are simple and easy to use with the YDP-143 having a slightly better sound to it. A button allows you to flip through the voice options (six on the YDP-142 and ten on the YDP-143). These are not considered portable keyboards, and are large enough to be pleasant accent pieces but small enough to fit well in almost any size room. These two pianos can probably be found for a bit less than $1,000, now that they are older models. The Arius YDP-V240 differs a lot from the YDP-S31 and the YDP-141/142 in that it offers extensive keyboard and digital features and increased volume ability. However, like the YDP-S31 it has a GHS keyboard. Additionally, this sensitivity is adjustable so you can customize your piano’s feel to your own preferences. Some users have noticed a slight muffled affect with the sound. If this bothers you, separate speakers or headphones restore the bright sound quite well. The YDP-V240 makes use of Advanced Wave Memory (AWP), which uses digital technology to record sounds at different intensities. When playing an acoustic piano, the sound it emits will differ with how forcefully or how softly you play the keys. With the AWP Dynamic Stereo Sampling, the nuances of sound differences played on an acoustic piano are captured and replicated in the YDP-V240. Over 500 different voices are available, and a number of different drum patterns, a dramatic increase from any of the other models with their six to fourteen voice options. The YDP-V240 also allows you to record six different versions of the same song and stack them together, and then play them back all at once so you can hear a full orchestration of a song you’ve recorded. 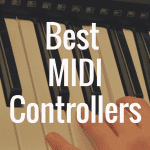 This model also has a USB device option, which allows you to work with digital piano software, including recording software, educational software and notation software. Running at about $2,000, this piano is all about the creative process. There can be a steep learning curve before you’re ready to make use of all of its features, but the options are extensive and they free you up to create and fine tune on a number of levels. So, above, I mentioned what really stands out to me about the Yamaha YDP-144. Instead of the GHS keyboard, these pianos offer the Graded Hammer Effect (GH, like the Yamaha YDP-181) or Graded Hammer 3 (GH3, such as the Yamaha YDP-164) and greater sensitivity. This step up (and in some cases, two steps up) from the GHS (Graded Hammer Standard), as it allows for quieter key mechanism noise and the ability to play faster, more intricate pieces with ease. While GH and GH3 is certainly appropriate for all levels of ability, it is especially important for students pursuing more intricate pieces of music at advanced levels. The Yamaha YDP-164 is a pretty impressive digital piano. First, it features (like the YDP-144) the CFX Grand Piano sound, which is a step up from a sound engine that just featured the Yamaha CF Grand Piano. First, the 164 has two speakers that total 40 watts of of power. As great as the YDP-144 is, it just can’t quite compete at two speakers featuring 16 watts of power. That doesn’t mean that the YDP-144 won’t sound great–it will. It just won’t be able to fill a room as strongly as the YDP-164 can. The second thing to keep in mind is the key action, which I mentioned a bit above. The YDP-144 features GHS action, while the YDP-164 features GH3 action. For the extra money (about $300), GH3 action not only features a sensor built into the keys, but it comes with synthetic ivory key tops which are going to really help prevent your fingers from slipping off the keys because they better able to absorb moisture. You can read our full Yamaha YDP-164 review here! The Arius YDP-161 is a sturdy and heavy piano. (The newer Yamaha Arius YDP-162 is very similar to the YDP-161, but offers a slightly better sound as well as increased height.) It doesn’t take up as much space as an acoustic piano, so it can be an excellent option for those in need of space conservation. However, even though it has a smaller frame (compared to an acoustic piano), it is a nice piece of furniture with its dark rosewood finish (the YDP-162 also comes in black walnut), sliding keyboard cover and gold pedals. 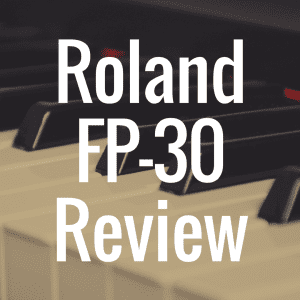 The sound and feel, with ten voice options (including harpsichord and organ), are excellent and make transitioning back and forth from an acoustic piano to a digital piano natural. There are two recoding tracts and sound layering capabilities so you can have two different voices playing at the same time. The digital controls on the YDP-161 are not as user friendly as those on the YDP-181, so if you plan to be using many of the digital options, consider looking at the YDP-181 (discussed below). This piano can be found for about $1,500. The Arius YDP-181 is a step up from the YPD-161. Though it has the same GH action, same sound, and the same beautiful dark rosewood cabinet, the YDP-181 comes with fourteen voices instead of ten, a brilliance setting (so you can adjust the instrument sound from bright to dark depending on the song and style you are playing), and a USB port that allows you to move your recorded songs to the computer. Perhaps one of the best features of the YDP-181 is the LED screen and button selection system. Be sure to check that your screen works before bringing it home, or when you first pull it out of the box if you have it delivered as complaints about this malfunctioning have been raised. This piano is more user friendly than the keys option on most of the other Arius models, so if you intend to work often with the digital options on your piano, consider the YDP-181. This piano can be had for close to $1,700. While there may not be a best Arius series model because they all offer quality and different strengths, there is certainly one that will suit you best. Look through the various options shared above, visit music stores and get your hands on the keys. Hone in on what exactly you are looking for, whether it’s a lovely accent piece that allows you to play the songs you love or an instrument packed with digital capabilities waiting for you to create your masterpiece. While the prices are all fairly similar across the Arius series, the YDP-S31 is the cheapest and the YDP-V240 comes in on the higher end. A Yamaha digital piano offers quality and beauty and will be a delight in your home for many years to come! 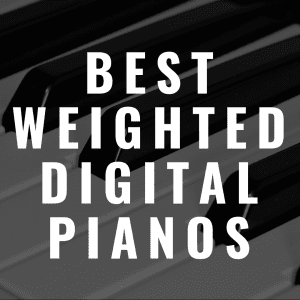 What’s the Best Digital Piano Under $2,000?